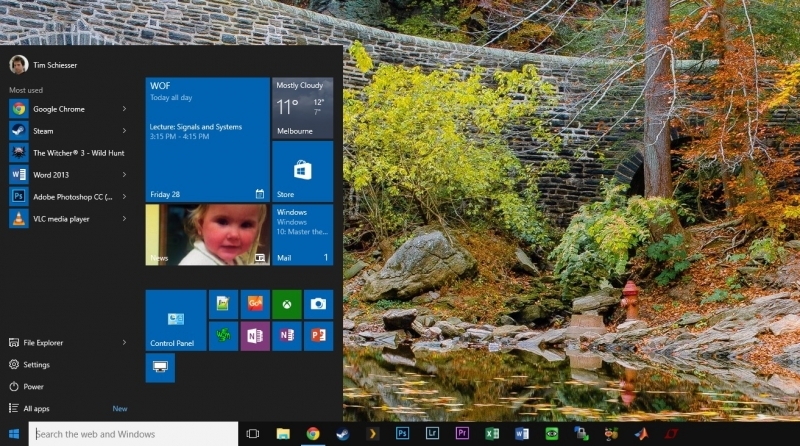 Weekend Open Forum: What apps are pinned to your taskbar? With more and more cool apps being developed every month, I find myself installing all sorts of stuff on my computer to try out. Some apps aren't all that useful, are just plain bad, or offer niche functionality, while some quickly become part of my daily app arsenal. The apps that I frequently use get a coveted spot on my taskbar, where they're pinned for easy access. Every other app, including mountain-loads of rubbish and pretty much everything from the Windows Store, resides hidden away in the Start menu for that one time a year when I actually use it. In my taskbar right now you'll find the favorites: Chrome, Steam, Plex, some Adobe Creative Suite apps, Microsoft Word and Excel, and some helpful utilities including WinSCP, UltraVNC, Handbrake and the ever-handy Explorer. Rounding off the list are two apps that are very handy for engineers: MATLAB and LTspice. In this week's Weekend Open Forum, we want to know what you have pinned in your taskbar (or the dock if you're running Mac OS X). What are your favorite apps? Do you keep everything you've installed in the taskbar or just stick to a handful of favorites? Let us know in the comments below.